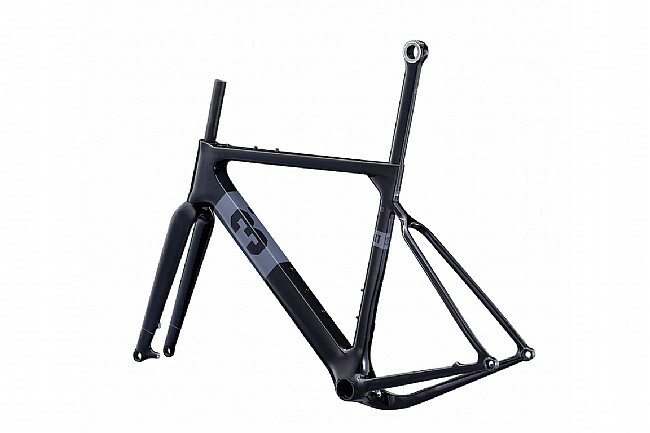 The 3T EXPLORO LTD Gravel frameset is designed from the ground up for real world speed. While the words "aerodynamic gravel bike" might seem a bit contradictory, the simple truth is no matter how much gravel, dirt or mud is on the course profile, there's always going to be some asphalt to ride. 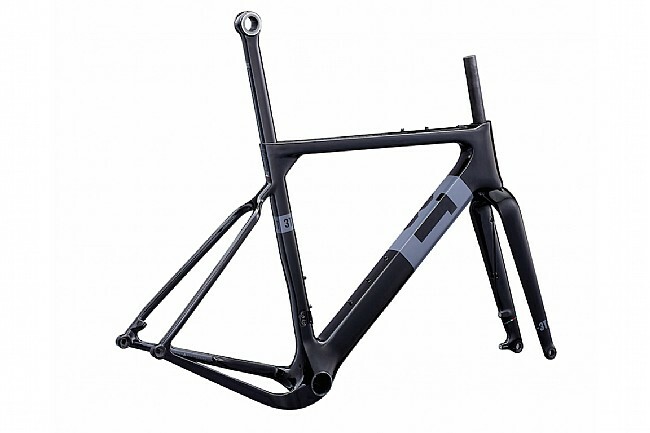 With this high-mod carbon frame weighs less and boasts a higher stiffness-to-weight ratio than its standard carbon sibling, both frames use Sqaero tubing and smooth, clean lines to cut through the air and get nowhere fast. With the goal of real-world speed in mind, 3T developed their Sqaero tube technology to slice through the wind while providing all the strength and stiffness that today's performance cyclist needs. These tubes feature an aerodynamically-optimized leading edge and a squared off tail for the perfect blend of aerodynamic advantage and stiffness. Starting with the 50mm thick downtube, this overbuilt tube picks up the airflow off the front wheel and channels it around the bottles and the rider, rather than into it. A 25mm wide seattube disappears between the bottles and the rear tire, while the headtube, 415mm seatstays, and seatpost all use the Sqaero tubing. Of course, this wouldn't be a gravel bike of it didn't have plenty of clearance for wide tires. The Exploro is designed to fit tires from all disciplines, be it road, cross or even mountain tires. In fact, in 3T's tests, a muddy 3T Exploro with 40mm knobby gravel tires and 2 water bottles was faster than the equivalent round-tube bike with 28mm slick road tires without bottles. Pretty impressive, right? Included in box: 3T Exploro LTD Frame, 3T Luteus II LTD 15mm thru axlefork, 3T Charlie Sqaero seatpost, seatpost internal clamp, front thru axle, 1 front and 2 rear derailleur hangers, front derailleur cable liner, noise-cancelling foam sleeve for rear derailleur housing and brake hose. 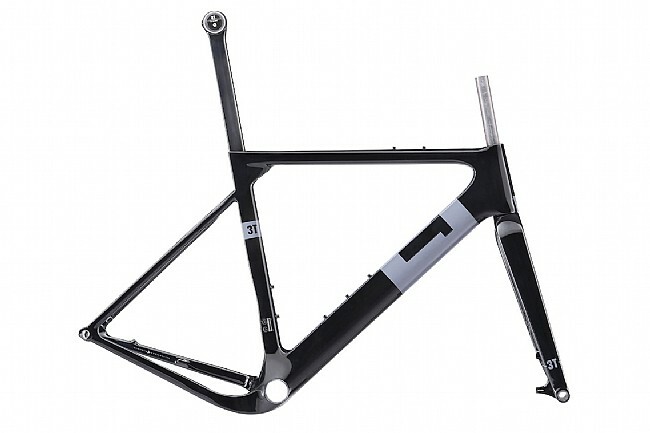 Includes 3T Luteus II LTD 15mm thru axle fork. Integrated tapered headset: IS42/28.6 | IS52/40. Internal cable routing via interchangeable FlipTop covers to fit most cables.